These fantastic Uglies Stadium Pants are made from 100% Polyester TZ Tactel with WR finish, offering breathability, durability and are lightweight. These sports pants are a must have for all sports enthusiast with an elasticated waist and branded chunky two toned contrasting drawcord giving you the perfect fit and style. Uglies stadium pants are ideal for all sporting activities, with full length side-leg zips and an open hem for easier removal when wearing boots. 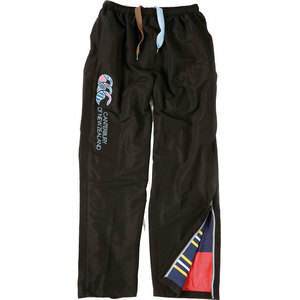 These sports pants are finished with an Uglies enlarged CCC applique logo down the right leg and a distinctive cotton lining giving them the Uglies look.